Fascinating. 1925 Paris. Duff died very young at age 36 of tuberculosis as i recall. She was smart, beautiful, reckless, fascinating. An exclusive look at the last known of photograph of Lady Duff Twysden. Several years ago, I came across a photograph of young Ernest Hemingway sitting at a cafe table with a group of people, including one beguiling, fashionable lady. There was something about the way she gazed at the camera; she managed to be both demure and coquettish. I soon learned that her name was Lady Duff Twysden, and that she had been the real-life inspiration for Lady Brett Ashley, Hemingway’s iconic femme fatale in his debut novel, The Sun Also Rises. I was astonished at first; I have long been a Lost Generation obsessive, but I hadn’t realized that Brett was drawn from real life, and I wanted to learn more about her. I started looking for a compelling account of the full, real-life story behind The Sun Also Rises, and found nothing. I decided to write that book myself—Everybody Behaves Badly: The True Story Behind Hemingway’s Masterpiece The Sun Also Rises—and spent many subsequent months in Lady Duff’s company. Duff is third from left, to Hem’s left. Much of what is known about Duff has been pieced together through the testimonies and writings of her contemporaries. When Hemingway met her in 1925, she was in her mid-thirties. A Brit, she had acquired her title by marriage, but was soon to lose it: she had come to Paris to weather a nasty divorce. Her aristocratic husband had remained back in the U.K. Though a notoriously hard drinker, she handled her liquor admirably for such a stylishly lithe creature. Author Christine WhiteheadPosted on March 15, 2019 March 22, 2019 Categories UncategorizedLeave a comment on Duff Twysden or Lady Brett Ashley should we say? Part ONE. The below statement of the history Joan Miró The Farmis taken, in large part, from the printout of the National Gallery of Art and its description of its provenance. In all of my reading about Hemingway, I don’t have a clear impression as to whether or not he was a devoted art lover. I do know, though, that he loved the paint by Joan Miró called The Farm. It was painted on oil canvass in 1921-22 and Hemingway’s path crossed with Miró, Dali, Picasso during the Paris years of the 20s. Hemingway and Hadley (his wife at the time) acquired it somewhere toward the end of 1925. It’s not clear if their friend Evan Shipman had it previously. 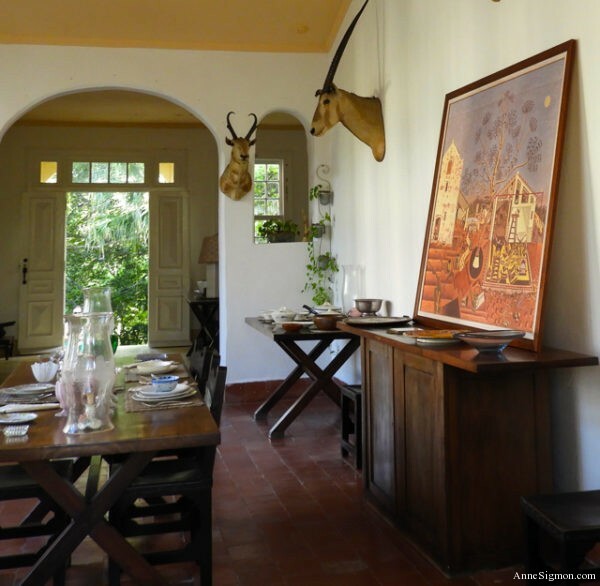 It stayed within Hemingway family until Mary Welsh Hemingway, Hemingway’s fourth wife and his wife at the time of his death, bequeathed it in 1987 to the National Gallery. There is a bit of history and backstory, however. Hemingway wrote in a 1934 article that Evan Shipman originally wanted to buy it and then he reconsidered and thought Hemingway should have the painting. The story goes that the two rolled dice for it and Hemingway won purchasing the painting from Galerie Pierre by paying for it in monthly installments. Hemingway then lent the painting to a Miró exhibit in New York and the painting was shipped back to Hemingway. He never returned it to Hadley despite requests by her. When he moved to Cuba in 1939/1940, the painting remained in his possession until his death in 1961. After Hemingway’s death, Hadley and Mary reached an agreement out of court through their lawyers. Mary paid Hadley in return for Hadley given up her claims to the painting. Mary bequeathed to the National Gallery. 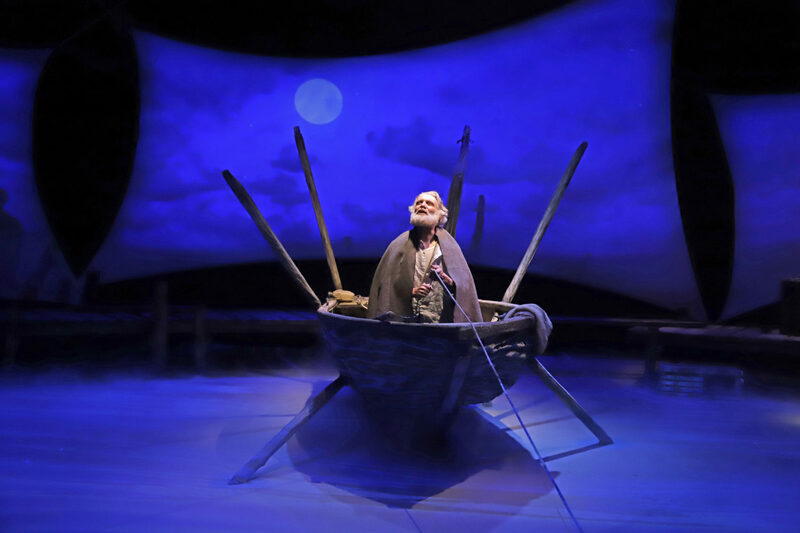 It was 1952 when novelist Ernest Hemingway published his Pulitzer Prize-winning “The Old Man and the Sea” — the sparingly written story of the down-on-his-luck Cuban fisherman Santiago, and his desperate attempt to catch a marlin after 85 increasingly desperate days without one. But before the book’s release, Hemingway gave the manuscript to his friend A.E. Hotchner, also then in Cuba, and asked him for his opinion. “I must say, I was transported. 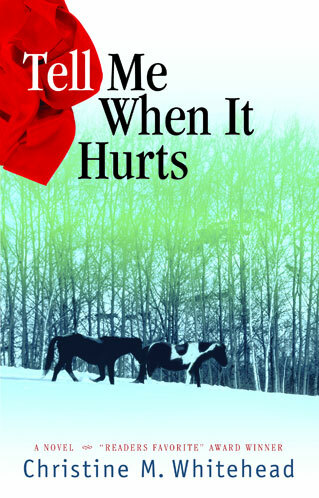 Imagine for the first time seeing the wrinkled-up pages and reading what will become an epic of American literature,” Hotchner tells Here & Now‘s Robin Young. “Ernest was rather direct and he said, ‘Maybe someday you’ll take a shot at it,’ ” Hotchner recalls. Visiting writers have had a mixed response to Hong Kong over the years. Rudyard Kipling may have gone on to be dubbed the “Bard of the British Empire”, but he had nothing good to say about Hong Kong, which he visited in 1889, only to be outraged by the presence of white prostitutes (he’d never had any problems with Indian ones in the brothels of Lahore. The 2006 movie of the novel (the third film adaptation) , starring Edward Norton and Naomi Watts, also shied away from the British colony and set the adulterous affair in Shanghai. With cinema audiences, at least, Shanghai’s reputation as sin city has frequently overwhelmed that of Hong Kong, though – in keeping with tradition – after The Painted Veil, Maugham was no longer welcome in the territory. 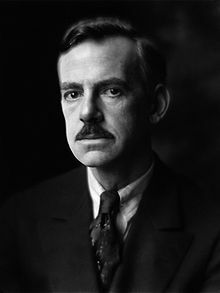 American playwright Eugene O’Neill sought to escape the hassles of success and a failed marriage, and travel to Shanghai in 1928. When his liner finally reached Victoria Harbour, O’Neill opted to stay aboard, deciding that Hong Kong was “too damp” for him. Once in , he had a nervous breakdown. In 1938, W.H. Auden and Christopher Isherwood came to Hong Kong, en route for China, to cover the war with Japan. The trip led to their book Journey to a War (1939). They described it as a city of dinner parties, dinner jackets and taxis home. War brought smart and savvy American war correspondent Martha Gellhorn to town in 1941. It was her first trip to the East and – despite her reason for coming – she had visions of a Maugham-type colonial lifestyle in the Orient. 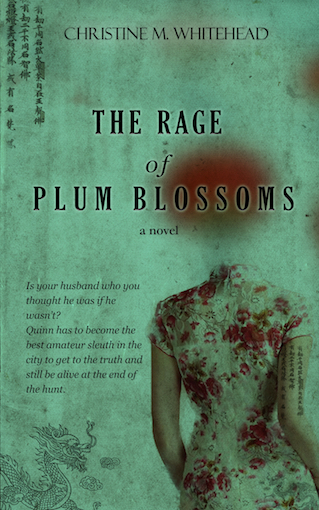 Gellhorn liked Hong Kong, but she was keen to get up into China and see the war. However, she was having a hard time shifting her “UC”. The “Unwilling Companion” in question was her new husband and supposed war correspondent colleague Ernest Hemingway. Reporting their marriage, some wag at the South China Morning Post came up with the (rather good) headline, “For Whom the Belle Falls”. Gellhorn was independent and tough. She had been a foreign correspondent in Paris with United Press in the early 1930s, then worked for the Federal Emergency Relief Administration during the Great Depression, as part of President Franklin Roosevelt’s New Deal. Her work with photographer Dorothea Lange, documenting America’s poorest communities, resulted in one of the great books of the Depression, The Trouble I’ve Seen (1936). Gellhorn had met Hemingway and then gone to cover the Spanish civil war and Nazi Germany. Now she wanted to see the war in China. However, the Post was only interested in Hemingway, whose arrival they eagerly anticipated. Gellhorn was dismissed in a passing mention as “a bottle blonde” – she certainly was not. UC Hemingway had immediately taken to Hong Kong. He was happy to find a ready circle of hangers-on to praise him and pour his drinks at the bar of the Hongkong Hotel (which was on Pedder Street, in Central). Former Shanghailander and New Yorker correspondent Emily Hahn claimed Hemingway introduced the concept of the Bloody Mary to Hong Kong. Hemingway (second from right) uses chopsticks in Hong Kong as a guest of British army officers. The problem, however, was that the bar of the Hongkong Hotel was not where the story was. Gellhorn famously said, “Where I want to be, boy, is where it is all blowing up.” And that was not Hong Kong – not quite yet. But Hemingway would not be moved from the bar and so, in March 1941, Gellhorn flew to Chungking (today Chongqing), at night, freezing cold and at high altitude to avoid Japanese fighter planes. Hemingway opted to stay in the British colony, enjoying his circle of admirers, annoying the management of the Hongkong Hotel by letting off firecrackers in his room and pushing all the furniture out into the corridor so he could teach his new gang of acolytes and drinking buddies to box. Hemingway then headed into the New Territories to hunt for pheasant in the company of Morris “Two-Gun” Cohen, who had been Sun Yat-sen’s cockney bodyguard, and who was in semi-retirement in Kennedy Town. 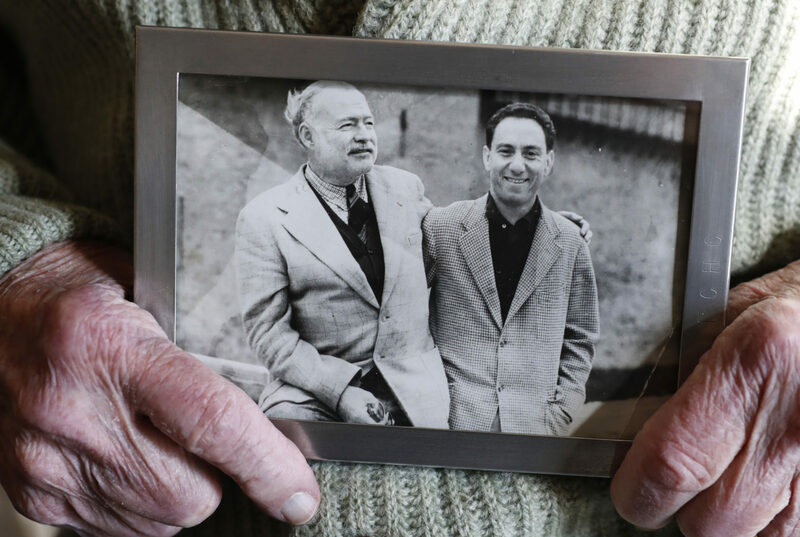 Eventually, Hemingway had to go to China proper too – but he hated it and was glad to eventually get back to the United States, describing his entire Hong Kong-China trip as an “unshakeable hangover”. James Bond author Ian Fleming. More positively, in 1962, writer Ian Fleming arrived in Hong Kong on a BOAC jet and started enjoying life on The Sunday Times tab. 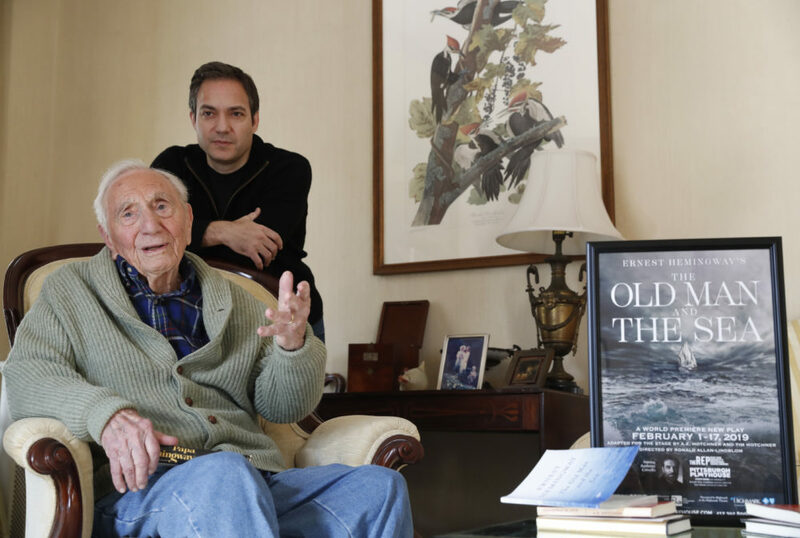 The James Bond author thought Hong Kong the “most vivid and exciting city I have ever seen” and spent plenty of time enjoying Shek O and Big Wave Bay. In his Sunday Times column, later collated as the travelogue Thrilling Cities (1963), Fleming listed the best three things about Hong Kong as: 1) food; 2) suits tailored perfectly in 48 hours; and 3) cheap cigarettes at 1s 3d for twenty. What does Hemingway’s New Story Mean? Nicolaus Mills chairs the literature department at Sarah Lawrence College. He is currently working on a book about Ernest Hemingway and his World War II circle. What has led Jordan to abandon the comfortable life he was leading in America is the prospect of the Loyalist defenders of the Spanish Republic being overwhelmed by a fascist cabal relying on foreign aid. During the Spanish Civil War, America was neutral as a result of a bill President Roosevelt signed on May 1, 1937, banning the export of arms and ammunition to the warring parties in Spain. By contrast, neither Germany nor Italy saw any reason to remain neutral when they believed they had much to gain from helping a fascist ally. As historian Adam Hochschild notes in Spain Is in Our Hearts, his account of the Americans who fought in the Spanish Civil War, the German and Italian contributions to Franco were immense and gave both nations a chance to test out weapons they would use in World War II. Some 19,000 German troops and instructors saw action in Spain or helped train Fascist troops, and nearly 80,000 Italian troops fought for Franco between the start of the Spanish Civil War and its conclusion. The Soviet Union, which for a period identified itself with the Loyalists, provided only limited aid by comparison. 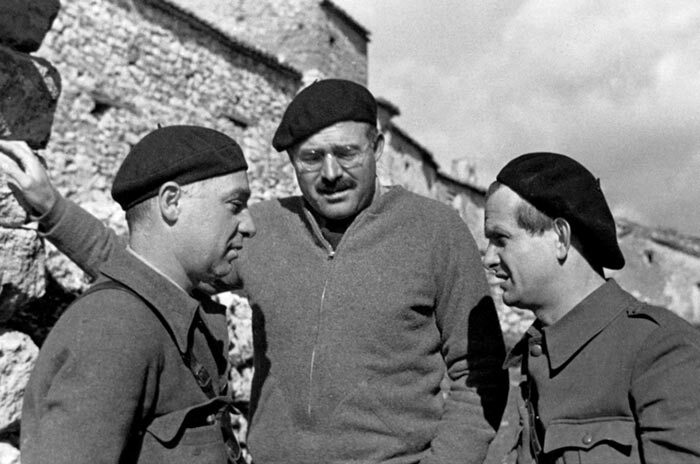 For Hemingway, who made four trips to Spain to report on its Civil War for the North American Newspaper Alliance, Jordan was an admirable figure who reflected what was best about the 2,800 Americans who went to Spain to fight on the Loyalist side. Jordan knows that the Loyalist side he is on is capable of great cruelty. He is no fan of the Communists who are part of the Loyalist alliance. But Jordan sees the flaws in the fascists as so much greater than those of the Loyalists that he does not back away from the commitment he has made to the war. 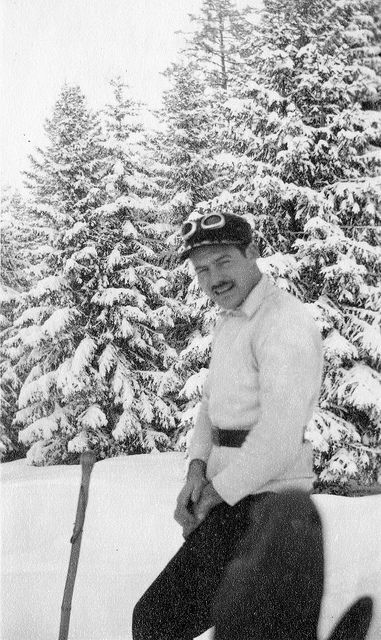 In this commitment Jordan mirrors Hemingway, who in a 1937 letter described the Spanish Civil War as “the dress rehearsal for the inevitable European war.” Hemingway raised money in support of the Loyalist side, and with his future wife, the correspondent Martha Gellhorn, who travelled to Spain with him, he went to the White House for a showing of the pro-Loyalist film, The Spanish Earth, before President and Eleanor Roosevelt. In the end Hemingway had to content himself with doing his best rather than getting the outcome in Spain that he wanted, and so finally must Robert Jordan. What makes Jordan admirable is what made McCain admirable—his unwillingness to sit on the sidelines and watch democracy be undermined. Ernest HEMINGWAY during Spanish Civil War. In December 1937 Ernest Hemingway was covering the Loyalist assault on Teruel, the walled town in the bleak mountains of Southern Aragon, Gen. Franco was planning to use this corridor route to the Mediterranean thus seaparting Barcelona from Valencia and Madrid. 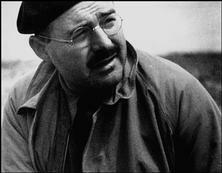 Robert CAPA the photographer and Hemingway would with some colleagues drive daily to Teruel from Valencia and return each evening. Valencia. Dec. 1937. 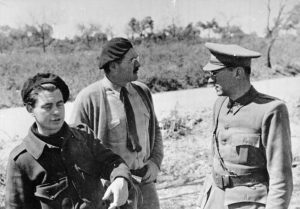 Hemingway visiting the front line. 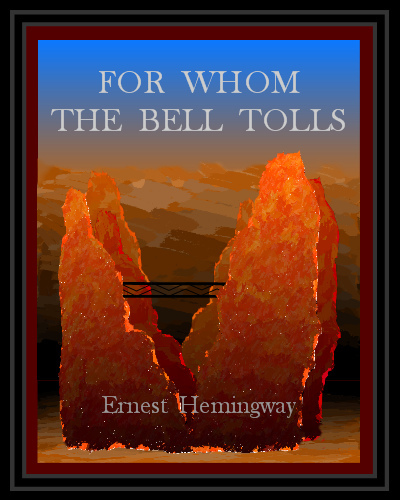 Author Christine WhiteheadPosted on January 15, 2019 November 9, 2018 Categories Blog Posts, For whom the bell tolls, Hemingway and Spain, Hemingway places, Hemingway Themes, The five big books, The new storiesLeave a comment on What does Hemingway’s New Story Mean?